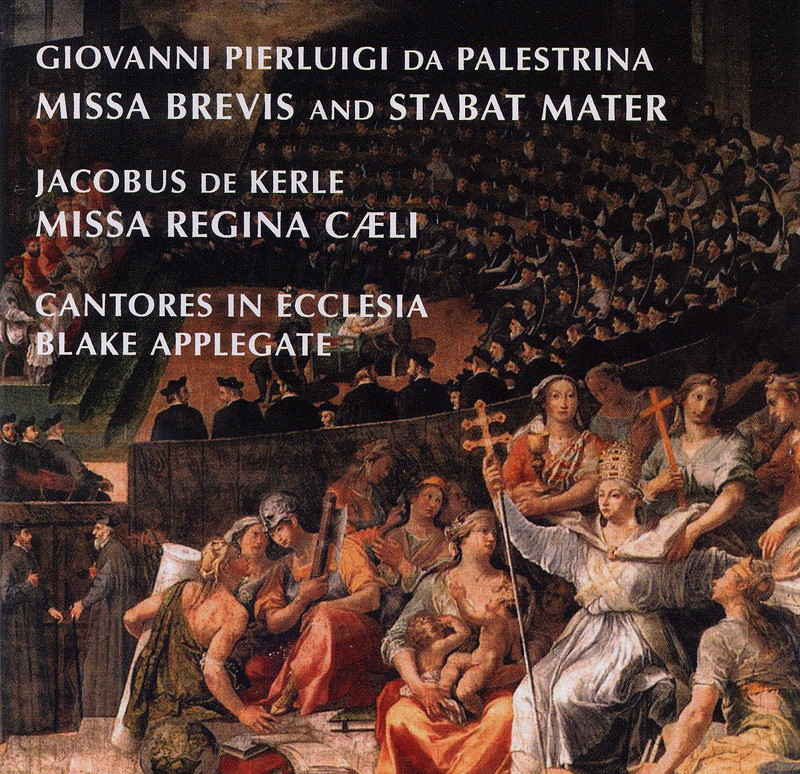 This album brings together settings of the Latin Mass by two Renaissance composers. They were exact contemporaries, and both were famous in their own lifetime, although posterity has treated them quite differently. Giovanni Pierluigi da Palestrina (1525-94) is still a familiar name to modern singers, while Jacobus de Kerle (1531-91) has been all but forgotten. These two men were both dedicated to composing music for the Catholic Church in an era when its musical foundations (and the foundations of its very existence) were in peril. Cantores in Ecclesia has sung in concert and for liturgies at home and abroad, including tours to Mexico, Spain, France, England and Italy. One of the highlights of the choir's commitment to liturgical and musical excellence is each August's William Byrd Festival, which since 1997 has brought guest conductors, lecturers and musicians to Portland for two full weeks of the masses, keyboard works, songs and motets of the choir's old friend and inspiration, Renaissance composer, William Byrd.